When you have had a long week and you’re just looking for a cozy, but authentic place to wine and dine for the evening, then Just Dinner hits the spot quite nicely. It’s a small house in the Montrose area surrounded by the community. If you aren’t looking for the restaurant, you are likely to drive right past it completely ignoring its existence. You’ll feel right at home with the coziness you endure from the comfort food that Just Dinner is known for and the atmosphere that surrounds you. Just Dinner, provides a feeling of community when you are eating a lot of locally grown organic ingredients. 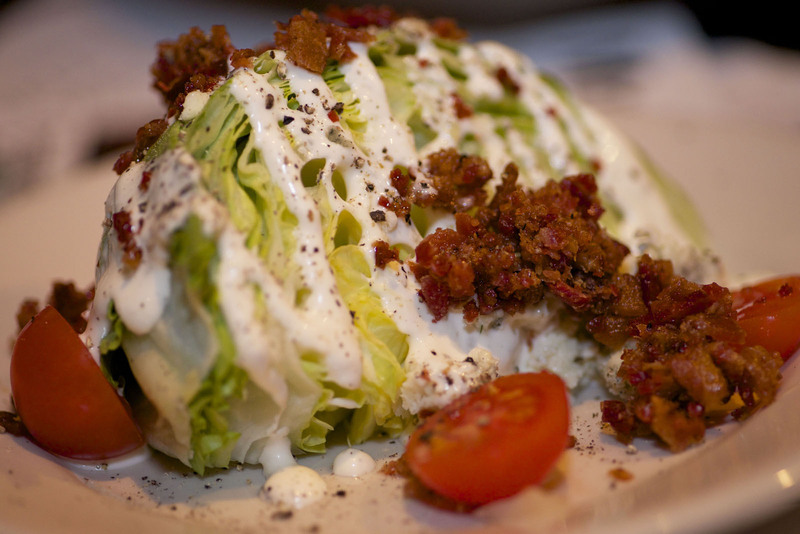 The wedge salad at Just Dinner is done exceptionally well. There is just the right amount of bacon and blue cheese to make every bite well worth it. 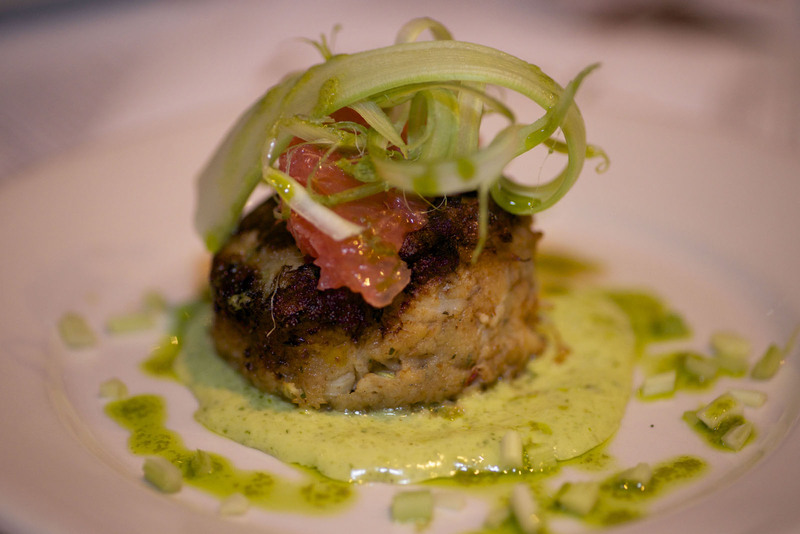 The crab cake had a pretty presentation. It’s almost like you didn’t want to eat it because it was too pretty! The basil pesto sauce that was part of this dish really made the crab cake unique. The herbs gave it a nice earthy taste. You can get this as an appetizer or as a full size dish on the menu. 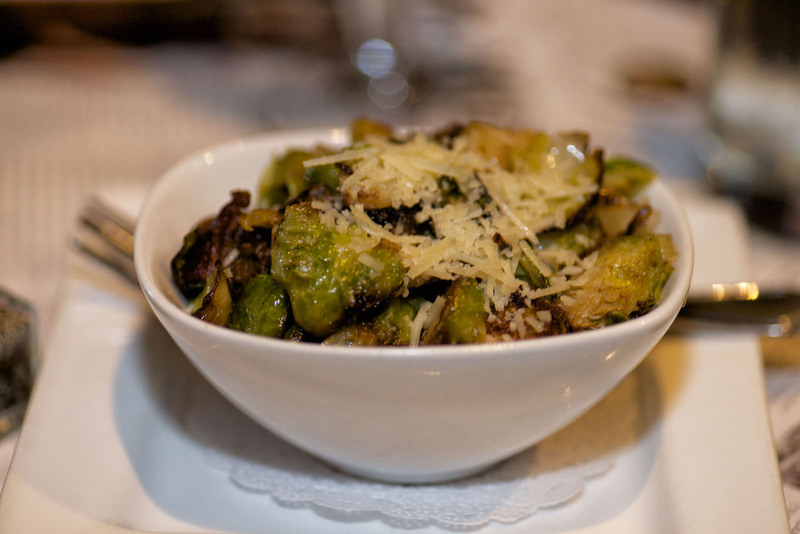 The Brussels were really good, but not what I would rank amongst the greats around Houston. They didn’t have the crispy exterior that I usually look for on a Brussels item. I’m happy any time that I see them existing on the menu, so I was happy to enjoy them at Just Dinner. 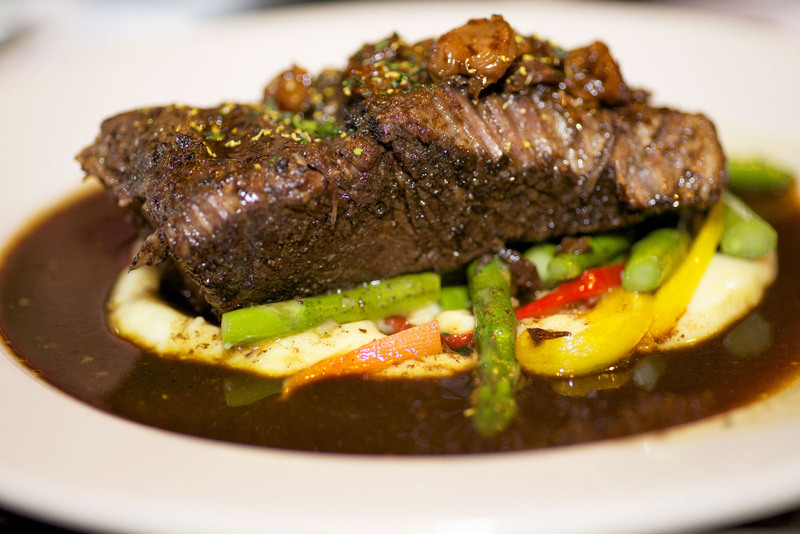 The Braised Boneless Short Ribs is an excellent dish that engulfs the southern comfort feel of the restaurant. It’s served with port cherry wine sauce on a bed of garlic mashed potatoes and mixed vegetables. The short ribs were so tender, you could just tap your fork through the meat and it began to fall apart. 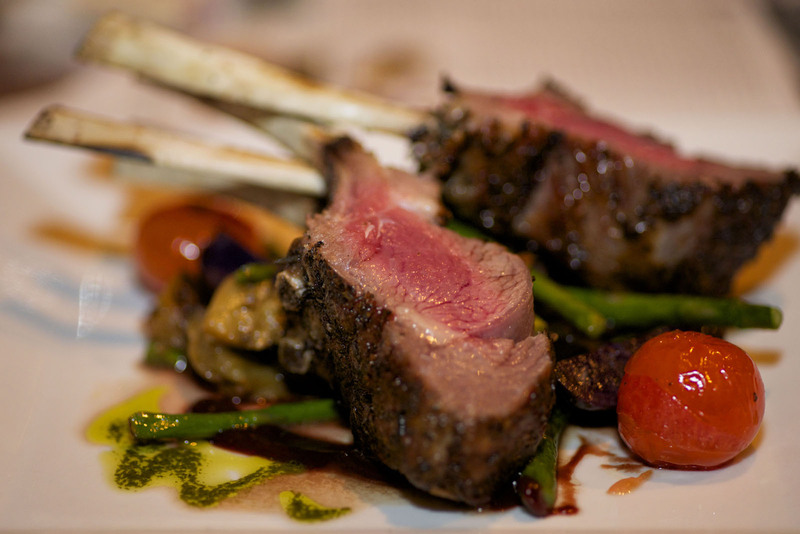 The Rack of Lamb was the special they had for the night. I couldn’t turn it down, and I never looked back. The blend of flavors that was in the entire dish is what really made it a fun entree. It was cooked medium rare to my liking and the outside crust had the perfect slight crunch with the peppercorn seasoning. 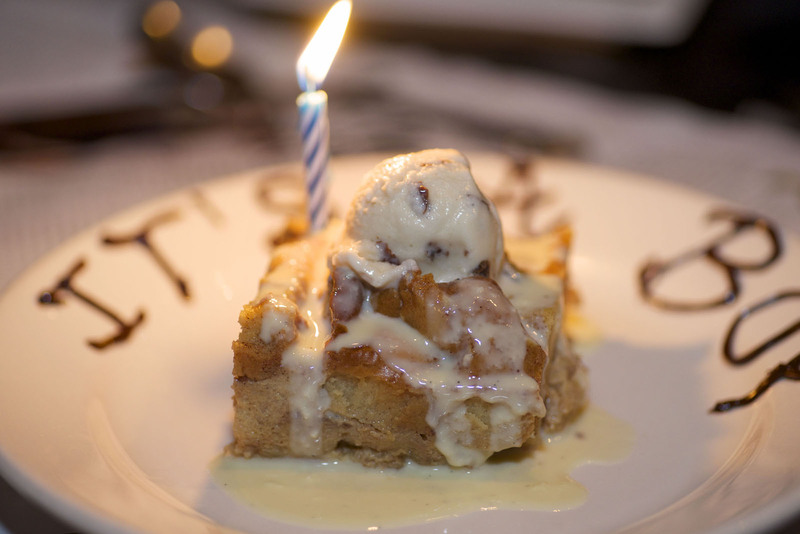 There were many options for the desserts, but the three American classics that you can’t ever go wrong with are the crème brulee, bread pudding, and the apple tart. The orange blossom crème brulee, had an interesting slight citrus flavor. 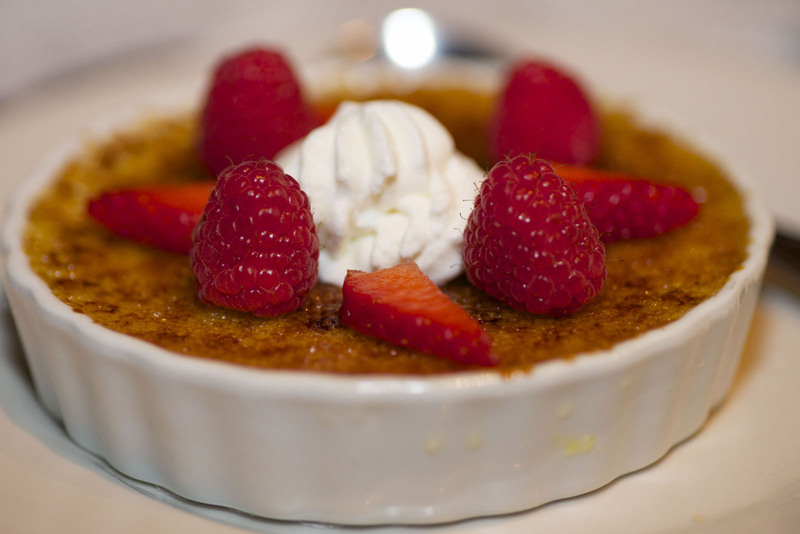 I’ll take the crème brulee and the bread pudding over any other dessert the majority of the time. 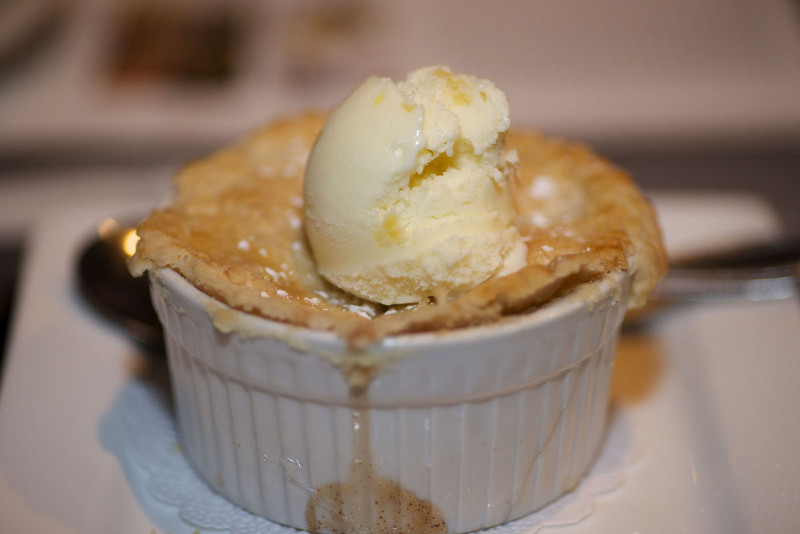 The apple tart with vanilla ice cream is a classic that epitomizes the feel of a Southern comfort restaurant that makes you feel like you’re right at home the minute you dive in. When you’re ready to give this place a try, make sure to get reservations at least one to two weeks in advance. It isn’t a large place, and reservations get booked very quickly. 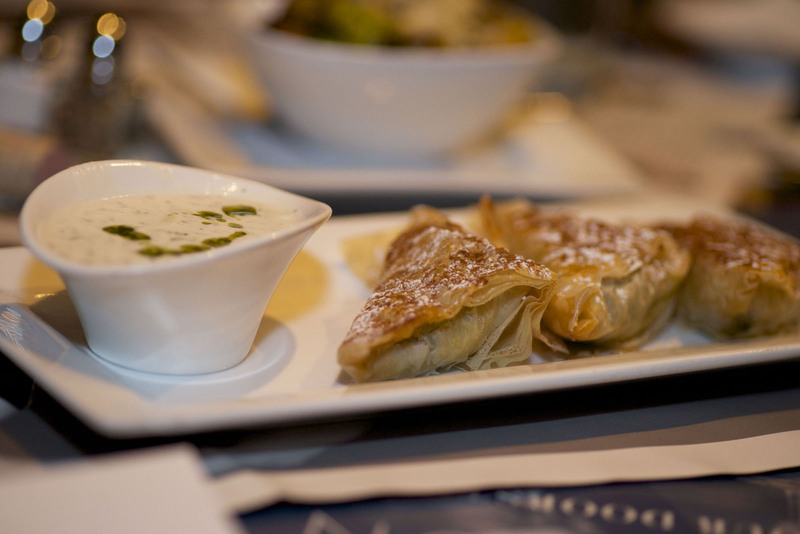 Go out and treat yourself at Just Dinner. It’s an interesting experience.